January is typically an uneventful month for gaming, but if this month is any indication for how 2017 will be for the gaming community, we are in for a huge treat. 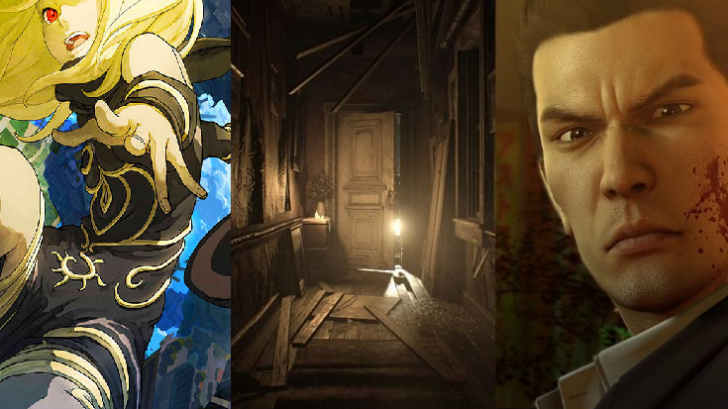 This month featured incredible games such as Gravity Rush 2, Yakuza 0, Resident Evil 7,and Kingdom Hearts 2.8. It is easy to see the huge success of this January when you compare it to last year. In January 2016, the games released included: Assassins Creed Chronicles: India, Lego Marvel’s Avengers, and Resident Evil Zero HD Remaster; Yakuza 0 alone is better than any of those games. The only game released in January that was among top ten best-selling games of that month was Lego Marvel’s Avengers. While we still do not have the sales numbers for January, it will be shocking if at least one of the great games released this month (Gravity Rush 2, Resident Evil 7, Yakuza 0, and Kingdom Hearts 2.8.) are not on the best-selling games list for this month. Gravity Rush 2, Resident Evil 7, and Yakuza 0 all received meta critic scores over 80, and Kingdom Hearts received a 78 overall. Gravity Rush 2 is an exciting sequel that has exceeded many gamers expectations. Gravity Rush 2 is a unique game that is made amazing through the main character Kat and her super powers. When gamers are not enjoying the mid-air combat gameplay, they are encouraged to explore the beautiful open-world environment. Gravity Rush 2 features classic boss battles that get heart pumping as you fight in mid-air to defeat your foe. The comic book style story does wonders for the narrative, as this sequel fills in gaps left by the previous installment and ventures to tell new stories. Gravity Rush 2 features numerous side missions to keep players entertained for more than a dozen hours. Exploring the Japanese underworld has never been more fun, than it is in Yakuza 0. Yakuza 0 is a prequel, so it allowed for new gamers to the series to not have to be burdened by the intricate backstory of the previous Yakuza games. Brutal fighting gameplay, hilarious NPCs and various side missions (real estate transactions, gambling, fishing, etc.) help Yakuza 0 stand out in a typically boring month for gaming. The release of Resident Evil 7 saw the rebirth of the classic horror-action franchise. Fortunately, it allowed gamers to jump into the Resident Evil Series without having to play any previous installments to enjoy the game. PS4 gamers were able to immersive themselves into the game and experience the entire horror filled Resident Evil 7 through their PSVR. The spectacular graphics, gore filled gameplay, and thrilling story helped RE7 contribute to a great January for gaming. Resident Evil 7 was more than just a great game in the series, it was a step in the right direction and a new beginning for Capcom with Resident Evil. Kingdom Hearts finally made its debut on the PS4 with Kingdom Hearts HD 2.8 Final Ch. Prologue, which included a remaster of Kingdom Hearts 3D: Dream Drop Distance, Kingdom Hearts: Birth by Sleep and an hour long video/cutscene Kingdom Hearts X. The Kingdom Hearts Remaster features gorgeous graphics, new and remastered stories, and enjoyable keyblade combat. This game serves as a great appetizer for Kingdom Hearts 3, and a refresher for Kingdom Hearts Fans before Kingdom Hearts 1.5 + 2.5 Remix releases in a couple months. If you have not already, make sure to pick up at least one of these games and enjoy the last few days in the best January ever for gaming. PS4 & PC Gamer. Former Xbox 360 fanboy who jumped bandwagons. Passion for gaming, producing music, and coffee.